This semester, some Peek in the Stacks blog posts will be authored by CSUN students who work in Special Collections and Archives in the Oviatt Library. 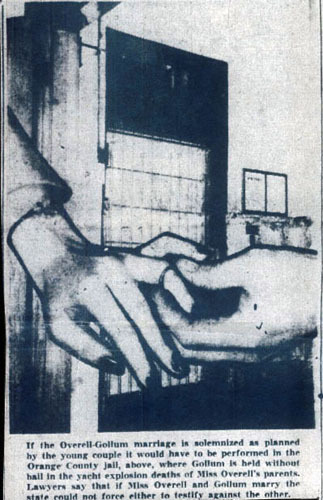 This week's post was written by Jonathan Nosala, a student assistant in the Urban Archives. Jon is a junior majoring in Literature with plans to go into literary publishing, and the ultimate goal of becoming a university professor in postmodernist literature. The William Randolph Fowler Collection highlights the literary works of Will and his father Gene Fowler. Fowler, a newspaperman, compiled files on current events throughout his career. 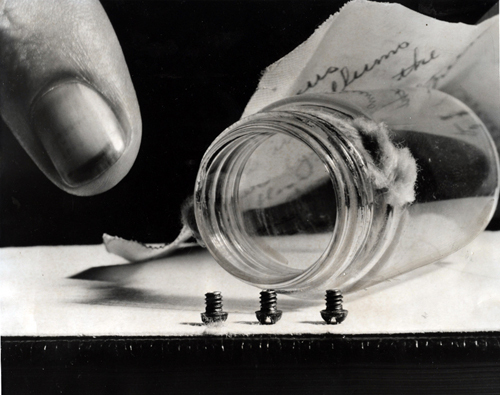 A portion of his collection includes documents from a controversial murder trial, which drifted into obscurity shortly after the jury made its final decision. 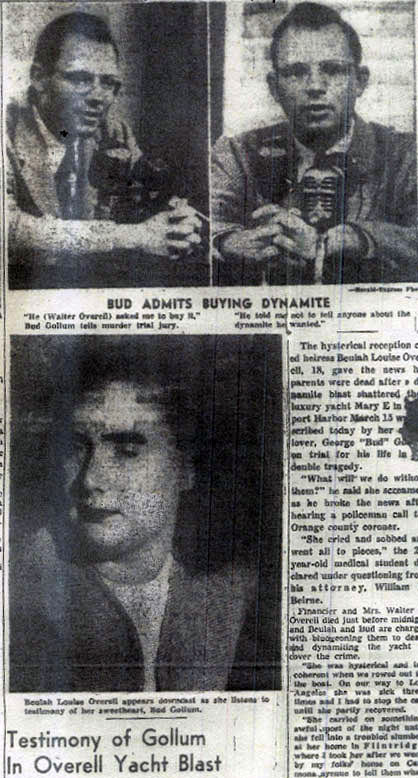 On March 14, 1947, a yacht in Newport Harbor exploded with two people aboard, Walter Overell, a wealthy businessman, and his wife, Beulah. Both were seemingly killed by the blast, and the yacht sank to the ocean floor. While the initial report suggested the explosion might have been caused by an engine malfunction and leaking gasoline, it was soon discovered that the blast was actually caused by dynamite. Minutes before the explosion the couple's teenaged daughter, Louise Overell, and her fiancé, George "Bud" Gollum, had rowed a skiff to shore to buy hamburgers. After eating, they rowed back out to find the smoldering remains of the yacht. 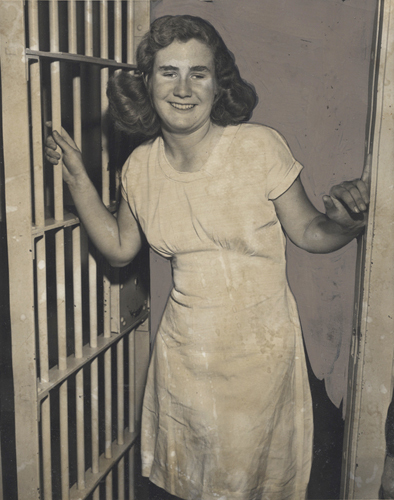 When it became known that Louise stood to inherit between $400,000 and $600,000 upon her father's death, Bud and Louise quickly became the prime suspects. 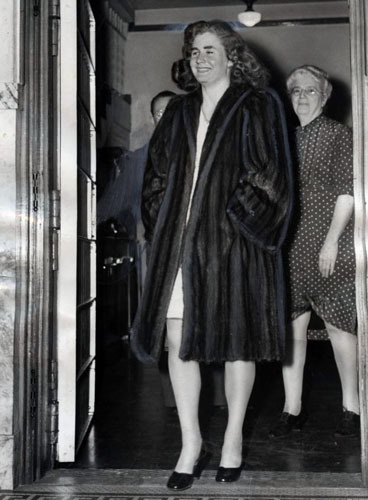 Evidence against them continued to mount, including the coroner's report findings that the Overells may have died up to an hour before the blast as a result of bludgeoning, and that some of the wounds on Mrs. Overell's corpse were likely caused by a ball peen hammer. 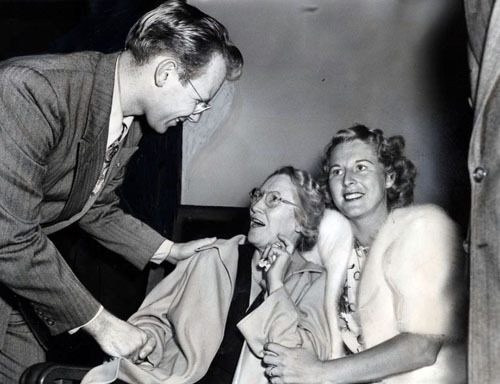 The young couple went on trial on May 26, 1948, as evidence against them continued to grow. 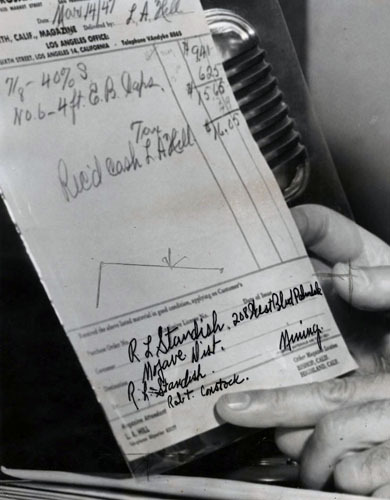 Bud had recently purchased a significant amount of dynamite and had signed a false name to the receipt. The remnants of a common one-dollar alarm clock pointed to the use of a crude time bomb, a device that Gollum, a former member of the US Navy, would have been capable of constructing. 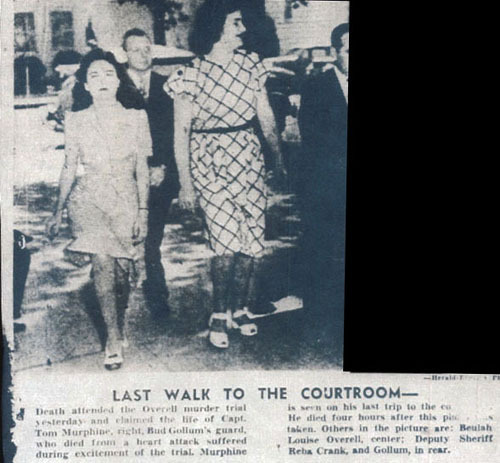 Some of the strongest evidence against the couple was amassed during trials, as they flirted and giggled at one another, and seemed to lack the requisite grief over the death of Louise's parents. The strongest hit came when the prosecution was given permission to read aloud the letters which Bud and Louise had been passing to one another's cells with the help of a prison security guard. The amorous and sometimes sexually explicit letters strengthened the prosecution's argument, "We had lust, we had greed, we had frustration. 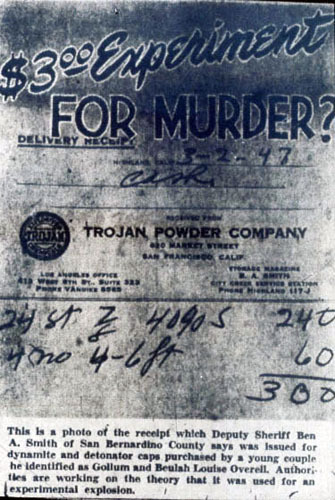 Ladies and gentlemen, these are the raw materials out of which murders are made." 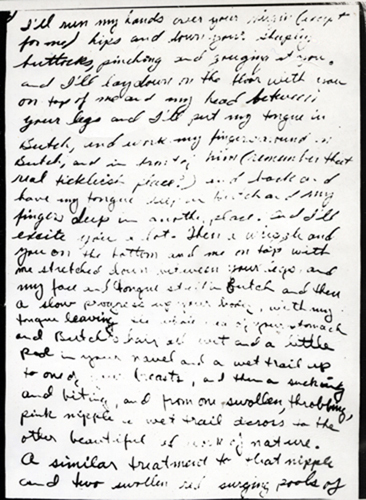 The passion between Bud and Louise seemed to cool following the reading of their private letters, and the couple appeared to grow apart as the trial wore on. 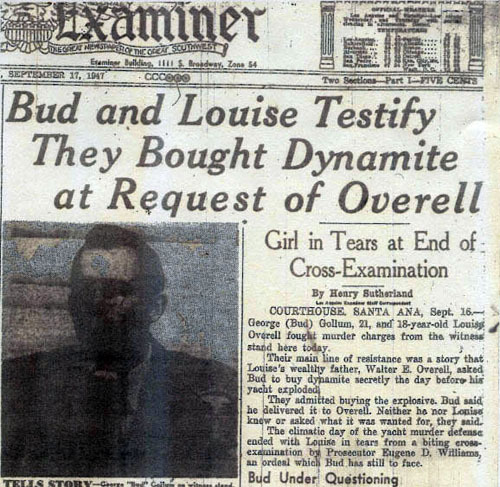 Ultimately, the nineteen-week trial resulted in acquittals for Bud and Louise, based on the possibility that Walter Overell had ordered Bud to buy the dynamite for him, and then had then committed a murder-suicide due to the declining worth of his business. Jurors concluded that there was reasonable doubt in the case, and Bud and Louise were found not guilty. After the trial, reporters asked Gollum if he and Louise were going to get married. "We'll see," he replied. But Louise's answer was more direct: "No."